Today’s picture is from a local library. To control movement into this room, the staff has posted this sign on a safety cone. It reads, “TEEN ZONE. 2:30-5:00. NO ADULTS OR CHILDREN UNDER 11. As in all things related to safety, we try to understand the behavior by asking why? Why this behavior? Why here? Why now? Why did they do this? I can’t wait to comment on this one so hurry and let me know what you think. I see big ‘perspective’ and safety implications. Categories: General Posts, What Do You See Wednesday | Tags: CPTED, Don Shomette, preventing a school attack, preventing school violence, reducing violence in schools, School based crime prevention, School Leadership, School Resource Officer, school safety, school superintendents, SRO, SRO Toolbox, The Shomette Group | Permalink. Let’s review and discuss the last, “What Do You See Wednesday from 15 Jan 2014. CPO Grace Fico: A sign that needs one of two changes: lowered, or bigger letters. It either needs to be read from the road, or lowered to eye level so that it does not go unseen. I also see closed blinds which creates an atmosphere of an inverted school; lacking outward awareness. Wow…what can I say after Grace’s awesome comment? Not much. In fact very little. My only point would be that like most safety concerns it can be fixed. Even if the classroom just opened up their blinds it would make an immediate difference and the space immediately safer. Nothing happening here is unsolvable. Well done and thanks for the comment, Grace! Categories: General Posts, What Do You See Wednesday | Tags: CPTED, Don Shomette, reducing violence in schools, School based crime prevention, School Resource Officer, SRO, SRO Toolbox, The Shomette Group, What do you see wednesday | Permalink. In the military we call it the Point of Main Effort. It’s the place on the battlefield where as a leader you put your greatest effort because this is where the outcome will be decided. In public schools, the point of main effort is not a place but a person. It’s a student, a principal, a School Resource Officer, a teacher—a person. Cameras are great because they help to deter and record unwanted behavior, but they’re reactive. Locks are also valuable because they delay entry and channelize visitors into specific spaces, but they’re reactive. To make our schools safer (we can’t make any space completely safe) we must be on the offense—we must be proactive and the only security device that is proactive is people. No mechanical device, regardless of its price tag is as valuable as a person. In fact, I’d trade every mechanical device in any school for one observant and vigilant person willing to be a part of the safety team. In 75% of the school attacks in America, at least one person (mostly students) has known about the attack but didn’t come forward to warn others. I personally believe its 100%, but let’s just stick with 75%. Now, imagine if these people would have come forward. That means no fewer than thirty school attacks could have been prevented. Imagine that. We must be proactive and constantly remind each student that they must come forward and tell someone. Go into the classrooms or have your teachers routinely remind the students to come forward if they know of someone who is considering hurting themselves or someone else. Five minutes. Just make sure to tell them who to tell (first adult in the school they see) and when to tell that adult (before they do anything else). It’s that simple. We call it a ‘gut feeling’ and use it to make a lot of everyday decisions, but it’s really a safety mechanism that’s hardwired into our brains. No mechanical device has intuition, but people do. We may not know why we’re afraid, or be able to verbalize our fear, but it’s still very real and should be listened to. Be open, supportive, and talk it out with the person who has had the gut feeling. They have subconsciously or consciously seen something that has triggered an involuntary self preservation response in their body. It doesn’t mean you have to act immediately on every gut feeling, but take it seriously and look for other indicators of danger. Encourage your students, teachers, and staff members to come forward any time they are afraid. In preventing violence we’re looking for pieces of the puzzle–any piece–and the first piece may start with a gut feeling. When a tragedy strikes, no mechanical device is capable of providing leadership. Only a person can do this and this is what saves lives, but they must know what to do. We must invest the time it takes to train and prepare our principals, SRO’s, students, teachers, and staff members now so they can save lives in the future. Luck is great and we’ll take it, but skill coupled with luck wins the day every day. Give your people the tools and information they need and they will be successful. This is not an either/or situation–mechanical security or human security but a big and–mechanical AND human security. But human security must be your priority and where you put your greatest effort and you will win. We’ve all heard of the 80/20 rule. Well the same thing goes for safety. 80% people, 20% mechanical and you will be more successful. Remember, cameras record, locks delay, but people prevent violence and that makes them the prize. Categories: General Posts | Tags: Don Shomette, People are the Prize, preventing a school attack, School Leadership, school professional development, School Resource Officer, school safety, SRO, SRO Toolbox, The Shomette Group | Permalink. Being able to spot what is safe and unsafe takes practice. And experience is invaluable. We’re going to post a new picture each Wednesday and after everyone has had a chance to comment, we’ll post what we see. Categories: General Posts, What Do You See Wednesday | Tags: Don Shomette, preventing a school attack, school safety, SRO, SRO Toolbox, The Shomette Group, What do you see wednesday | Permalink. This is an elementary school (k-3). The cafeteria is the first door on the left. There are dots on the floor that are evenly spaced, different color, and end at the cafeteria door. What do you think the dots are used for and how would this help to improve school safety? I agree it’s to line the students up to go in and/or out of the cafeteria. One color could be for kids just buying milk while the other is for those buying their entire lunch. I believe my colleagues are correct in their assessment of the colored dots. As for how they contribute to safety, I think it’s two-fold. 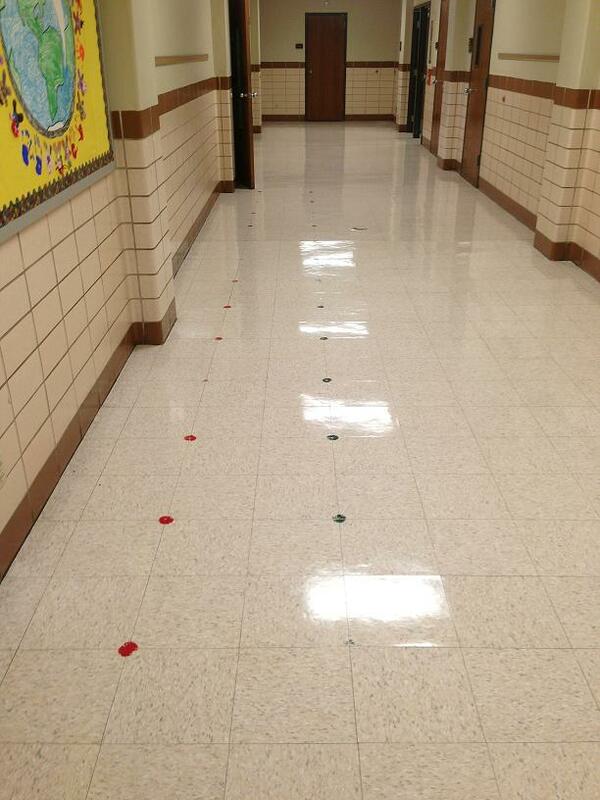 First, the dots and well-maintained hallway tell students and visitors that administrators take their responsibility for a positive and safe school environment seriously. Second, the dots reinforce behavioral expectations as the students wait for lunch (e.g. personal space, hands to self, etc.). A very simple and cool idea! Thank you to those who commented—your insights were thoughtful, helpful, and right on. I’m certain that when others review this post and read your comments, your words will help them to make their schools safer. Thank you! There’s very little I can add to this discussion except that school safety is an everyday part of our school day, regardless of whatever else we are doing. Feeding the students is a separate priority and the school has placed the dots on the ground to help accomplish that task. While this is the priority at the moment, it can also benefit our school safety efforts if we remember that school safety is connected to everything we do. By placing the dots on the ground the school has directly enhanced the order and speed of feeding the children. They have also indirectly enhanced the order and speed of the children being able to exit the building. During a crisis a person’s actions will reflect their training. If a person has been well trained, muscle memory will kick in and they will perform as they have been trained. These students know how to quickly and quietly line up because they practice it every day. We can’t think that just because we’re not calling what we’re doing at the present moment school safety, that school safety is still not a part of what we’re doing. Academics, policies and procedures, discipline, landscaping, class change, morning arrival, dismissal, and even lining up for lunch may be separate from school safety but it is not disconnected. We have to remember this and take advantage of these moments. After all, little accomplishments will lead to big victories! Categories: General Posts | Tags: CPTED, Don Shomette, preventing school violence, School Resource Officer, school safety, SRO, SRO Toolbox, The Shomette Group, What do you see wednesday | Permalink. With us being a few weeks into the start of the New Year, I thought it would be fitting to take this moment to draw some encouragement from John Newton, the ‘wretch’ who wrote the song. And John Newton was a wretch…at least he was at one time. No offense, John. The story goes that in 1748, John Newton was onboard a slave ship in the North Atlantic when it was hit by a terrible and fierce storm. After the sailor who had been standing directly beside him was snatched overboard by a wave, Newton tied himself to the mast and continued to pilot the ship for nearly eleven hours. Believing he was about to die, and for the very first time in his life, he called out to God for help. When the storm finally passed and his life was spared, he believed that his rescue had been divinely inspired. For Newton it was “The hour he first believed,” and for us it is a lesson to be learned. From the song, one gets the sense that it all happened immediately and that his interior change occurred overnight. In fact, the only thing that did change immediately was that he stopped his swearing which had been ranked as the worst among a shipload of pressganged sailors (imagine how bad he must have been to achieve that ‘honor’). Instead, Newton continued his immoral behavior as well as to trade slaves for several more years and was even promised to his own ship to captain. However, at the age of thirty he fell ill and never sailed again. After the navy he got married, was accepted by the Anglican Church, and was ordained a priest in 1764. 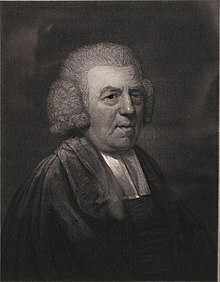 Finally, in 1773 he wrote Amazing Grace to help illustrate a sermon. So what does this have to do with the New Year? We’re just 13 days into January. Don’t beat yourself up if you haven’t kept to all of your New Year resolutions. Interior change is often a process and not an event. It takes time and perseverance. Be cheerful and patient and extend that same good will to your kids. After all, it took Newton 25 years before he wrote Amazing Grace and nearly sixteen years before one could say that his interior conversion on that dreadful night finally manifested itself from the invisible to the visible. So hang in there and just keep going forward. A better you is good for you and those around you so stick with it and don’t give up. Have a big resolution you’d like to share? Please post yours in the comment section. My big resolution for this year is to get published. I’ve finished a novel and I’m hoping to start submitting it in the next month. What’s yours? Categories: General Posts | Tags: Don Shomette, New Year resolutions, School Resource Officer, SRO Toolbox, The Shomette Group | Permalink. T ake heart, this is a fixable problem. It’s not that everyone else can’t see the big detail. It’s just that like most people they live in the little details. As a leader you must live in both worlds. 1. Develop a shared purpose. Every school must have only one purpose. You decide the purpose, but it must be adopted by everyone. No one lives outside this purpose. Post it in the classrooms, make it your email tagline, speak frequently about it during meetings, and use it to complete employee evaluations. When a person makes a request or suggestion don’t be afraid to ask, “How does this further our purpose?” People must be conditioned to think outward about the bigger picture and we can help them by having a clear, easy to understand, and noble purpose that all can share. Once you’ve created a shared purpose, develop routines, policies, and procedures to ensure the right thing is done at the right time by the right person. This is how you make sure that the little things don’t take precedence over the big things. “We will do this…followed by this…then this…and we will do it every day.” Script the critical moves. It’s what separates great leaders from good leaders. 3. Meet them in their world. Show everyone that you care about their little details. Eat a bowl of Fruit Loops with the students. Help stack chairs with the custodians. Show up unannounced to the classrooms with a bucket of dry erasers and say, “I thought you might need some more.” You cannot simply tell those you serve that you care about their little details, you must show them. When you do, you’re telling them that they matter to you and people learn best by example. If you give them that example, they will be more willing to follow you to accomplish the big things. Outcome is more important than activity. As a leader, you must keep your eyes on the outcome (the big picture). If you don’t, the urgent will crowd out the important and you’ll spend your days living the same day over and over again and never getting closer to accomplishing your purpose. Remember, what makes a leader successful is…accomplishment. You should be kind, compassionate, and nurturing but you must accomplish your task. Drive the bus. Schools don’t fail because of a lack of leadership or talent; they fail because of a lack of application. Once you determine your purpose, script the critical moves, meet them in their world, and then drive the bus and you will be successful. Categories: General Posts | Tags: Don Shomette, Drive the Bus, Leadership, Professional Development, School Leadership, School Resource Officer, SRO, SRO Toolbox, The Shomette Group | Permalink.